ARadomperson's worst to best TDROTI characters. See here to understand why. 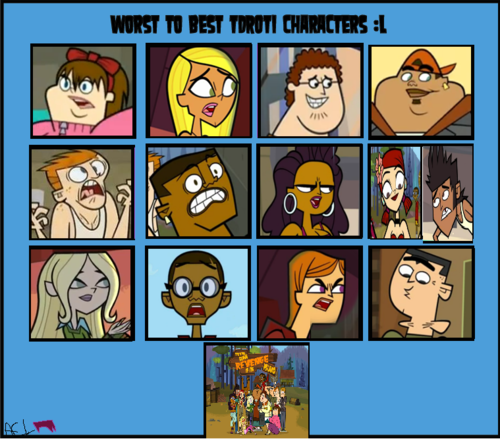 HD Wallpaper and background images in the Total Drama Revenge of the Island (TDROTI) club tagged: tdroti character total drama revenge of the island. 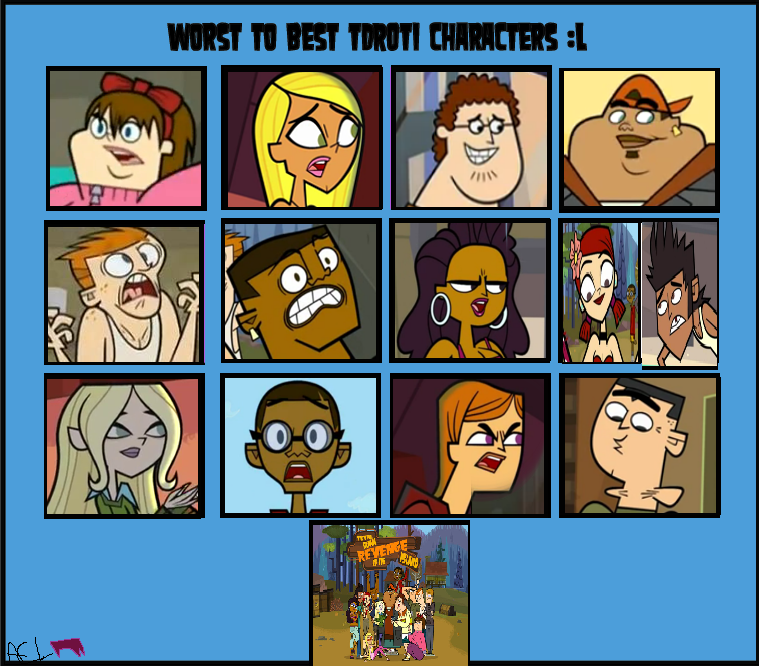 This Total Drama Revenge of the Island (TDROTI) fan art contains ঘজত্যুই, স্লট, এক সশস্ত্র ডাকাত, নকল মানুষের, কমিক বই, কমিকস, and কার্টুন. There might also be স্লট মেশিন and মুদ্রা মেশিন. Who আপনি Gonna Root For? This is why i hate scott!! Did we really see that!!?? Mike gets voted off :( ! "They're all that I have.."
Sam was cool. Why do you dislike him & B. Sam & B were my favorites, so I don't see why you dislike them.